We Pride Ourselves In Our Knowledge Of Auto Upholstery And Interior Restoration To Get Your Vehicle Looking As Good As New On The Inside. At Superior Interior, our trusted technicians have years of experience on handling any auto upholstery service or interior restoration for your vehicle. 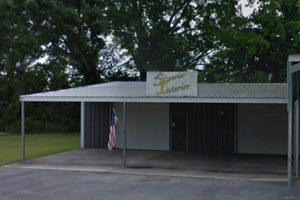 Located in Lafayette, Louisiana, our shop is ready to serve all your auto upholstery and auto interior restoration needs. We provide our service for all cars, new and classic, as well as trucks, and boats. So don't worry about your vehicle's interior looking out dated and damaged bring it down to Superior Interior and let us have your vehicle looking better than new.